Sigrid Wadauer is currently Fellow at the International Research Center Work and Lifecycle in Global History at the Humboldt University Berlin. She is principal investigator of the START- and ERC Starting Grant-Project “The Production of Work” at the University in Vienna. 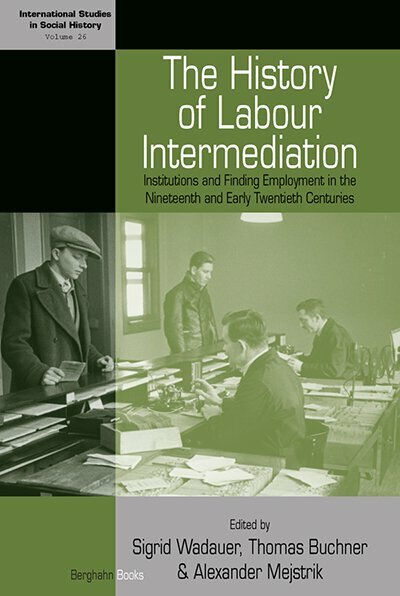 Thomas Buchner is a Postdoctoral researcher at the University of Vienna, ERC-project “The Production of Work.” His recent publications include Shadow economies and irregular work in urban Europe: 16th to 20th centuries (Münster, Vienna and Berlin 2011) (ed. with Philip. R. Hoffmann-Rehnitz). Alexander Mejstrik is a Postdoctoral researcher at the University of Vienna, ERC-project “The Production of Work.” He is co-Editor of the Austrian Journal of Historical Studies and recently co-edited a special issue entitled Die Erzeugung des Berufs (1/2013) with Thomas Buchner and Sigrid Wadauer.